FSU's "Who's Who Among Students"
Cristina Batista graduated from Florida State University after the fall 2014 semester with dual bachelor degrees in creative writing and social work — and a passion for helping others. “I originally pursued an interest in creative writing, but FSU fostered my rising interest in social work, which led to experience on campus, in Tallahassee and overseas,” said Batista, who was nominated for the “Who’s Who Among Students in American Universities and Colleges” award. In recognition of her outstanding academic work, Batista was twice presented with the Social Work Undergraduate Research Award for her work over two years with the Institute for Family Violence Studies (IFVS) at FSU. The program deals with issues such as child welfare, domestic violence and campus violence. She reviewed literature and gathered articles that were necessary for the researchers to conduct their work. It sharpened her writing, presenting and researching skills while providing real-world context to what she learned in class. She also worked on articles for the Clearinghouse on Supervised Visitation, which are published online by the IFVS. “I have had the absolute best experience working with the Institute for Family Violence Studies … I feel so much more informed about the world around me,” Batista said. Karen Oehme, director of this program, has been a supportive figure to Batista, encouraging her education and dreams for the future. With Oehme’s assistance, Batista had the chance to speak to FSU alumni about their work and commitment to research. Batista said that the alumni were receptive to what she had to say in regard to her research. Batista had the opportunity to engage in community service internationally through ‘Noles for Haiti. She participated in several service trips over the past two years, saying that she was “honored to be able to continue to give my time as a Seminole.” She stayed in an orphanage called New Life, working with disabled children and assisting another organization in the building and painting of a new schoolhouse. Locally, Batista served as a leader at the FSU Wesley Foundation. 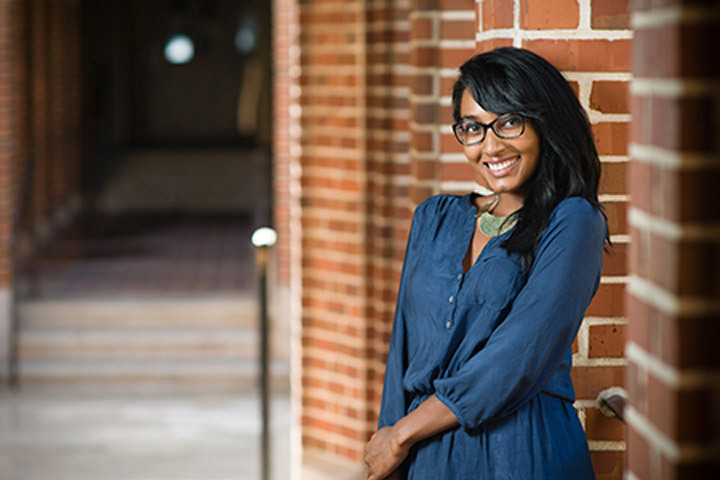 She took part in leading small groups, peer mentoring and organizing events for several hundred of the FSU community. Through their tutoring program she learned how to care for and teach each child based upon their individual needs. “I have learned many of the struggles facing low-income children and have worked to tutor, mentor and encourage them to the best of my ability,” Batista said. Currently pursuing a Master of Social Work degree, Batista is taking four classes offered to graduate students by the College of Social Work’s Social Policy and Administration program. She hopes to continue this track and ultimately become involved in prison policy and reform. She focuses on rehabilitation and preventive programs associated with the prison system. In addition, she plans to earn a doctorate in social policy in order to become involved with this career path on a national level. Pamela Graham, one of Batista’s closest faculty members, praised her as an exceptional student with a vibrant personality who carries herself well.